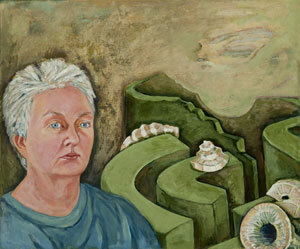 After retiring from psychiatric nursing in March 2009, Linda Boardman decidedto pursue her creative talent as an artist. Her desire was to build a high quality portfolio of paintings and then seek to market them. Having no prior business experience, Linda sought the assistance of SCORE where she was counseled by SCORE counselor Marge Schneider. She was referred to SCORE by a previous client whom Marge successfully counseled. With Marge’s help, Linda was able to learn the fundamentals of running a business and to develop a marketing strategy for selling her work. Linda has already sold five of her paintings and is well underway toward building a successful business.